Carlos Brathwaite's presence in the KKR line-up will boost the franchise's batting, which is the "best" among eight teams, claimed assistant coach Simon Katich. Kolkata: Carlos Brathwaite's presence in the KKR line-up will boost the franchise's batting, which is the "best" among eight teams, claimed assistant coach Simon Katich. The Barbados all-rounder in the most expensive buy for KKR at Rs 5 crore and will add firepower alongside big-hitters like Chris Lynn, Robin Uthappa and Andre Russell. "The big fella here has got potentially one of the best strike rates in World T20. So in terms of our batting, it's the strongest in the competition," Katich made his ambitious claim during the unveiling of eight new recruits. A career T20 average of shade under 17 in 143 games doesn't exactly inspire confidence but Katich probably wants to measure his ability to be destructive looking at his career strike-rate of 145.04. With a maximum of four foreigners allowed in the playing XI, it may be a selection headache for the team think tank after Brathwaite's inclusion but the Aussie said they would assess the conditions to pick the XI. "It depends on the opposition and where we are playing. In certain games, there will be a possibility that they will play together potentially. But throughout, our batting line up has been our real strength." "Last year six of our batsmen (Karthik, Lynn, Narine, Uthappa, Russell and Nitish Rana) were inside the top-25 leading run-getters," he pointed out. "So we have a very powerful batting line up. It's great to see the big fella get out there and start swatting sixes like flies at the back end of the innings." 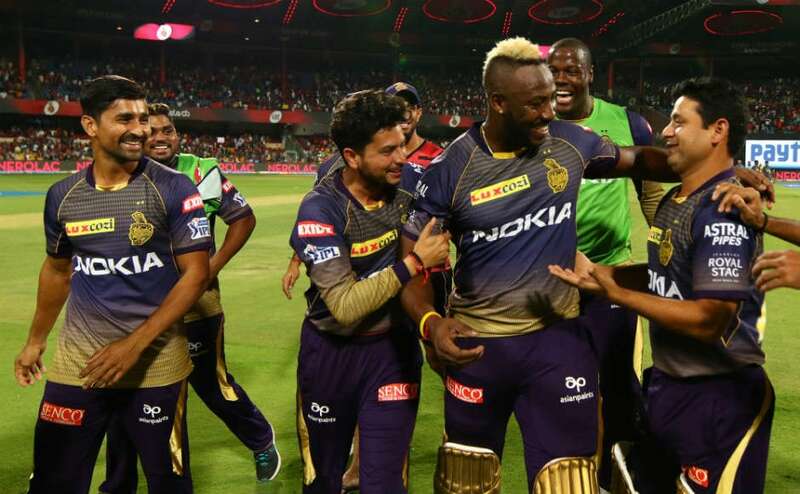 Eyeing to match the triple title feats of Chennai Super Kings and Mumbai Indians in the Indian Premier League, Kolkata Knight Riders will begin their campaign against Sunrisers Hyderabad at their home ground Eden Gardens on Sunday. Apart from Brathwaite the other seven new Knights included that of the English duo Joe Denly and Harry Gurney along with Shrikant Mundhe, Nikhil Naik, Yarra Prithviraj and Sandeep Warrier, who has replaced the injured pacer Kamlesh Nagarkoti. 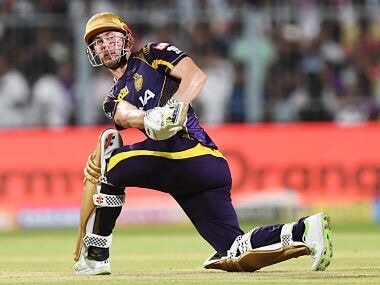 England all-rounder Denly, who was bought for his base price of Rs one crore, is among the most underrated players going into the upcoming season of IPL. Denly said he's looking forward towards making a mark which will pave the way for his World Cup selection. "For me, it was a long time sitting out of the England side -- 10 years almost. The last couple of years have been a lot more enjoyable. Thankfully, I am here in IPL playing for the best franchise in the best competition. 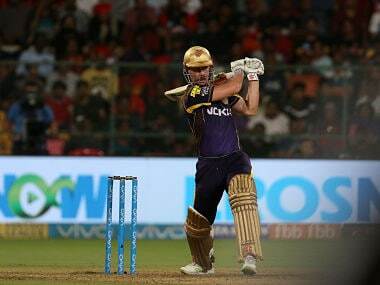 Looking forward to help KKR bring back the trophy and hopefully England selectors will be watching this," Denly said. "I want to play a supportive role leading into the World Cup. Hopefully I can get some game time here and contribute to the team's cause," Denly said. 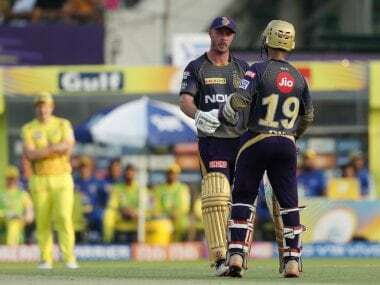 KKR have also brought back KC Cariappa, who had failed to impress after being picked for a record bid of Rs 2.40 crore by the same franchise in 2015. "It's a great opportunity to come back to KKR. In 2015, they gave me a chance to play in the IPL and here again I am looking forward to make most of the opportunity," the 24-year-old Karnataka mystery spinner, who has replaced Shivam Mavi, said.